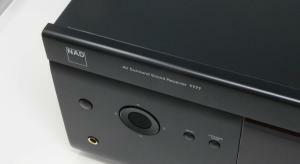 With Atmos, an innovative set of optional modules and the fitment of Dirac Live, NAD is gunning for your attention with the T777v3 but does it deliver the goods? 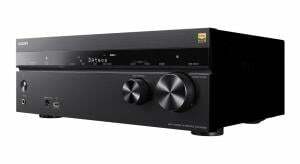 Sony's STR-DN1080 is a 7-channel AV receiver that supports both Dolby Atmos and DTS:X and despite some limitations it offers exceptional value. 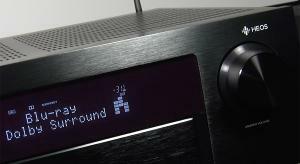 Yamaha's RX-A870 is the latest mid-range addition to their AVENTAGE line of AV Receivers but, in a competitive market place, does it do enough to distinguish itself from the competition? 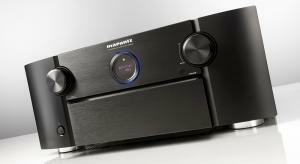 Marantz's flagship SR8012 has 11-channels of built-in amplification, along with just about every feature imaginable, making it the ideal single-box solution for those who like their AV receivers classy. Denon's new AVR-X4400H 9.2-channel AV Receiver adds Auro-3D, Dolby Vision and HLG to an impressive feature set that already includes Dolby Atmos, DTS:X, HDR, WCG, 4K and their HEOS multiroom system. 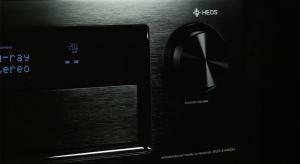 Denon's stylish new HEOS AV Receiver not only offers a simplified design and setup but also allows you to surround yourself with 5.1-channels of sound rather than loads of wires. 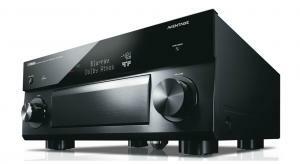 Denon's mid-range AVR-X4300H does the lot including 4K, HDR, immersive audio and even multiroom thanks to HEOS. If that wasn't enough you can pick it up for a song, which should be music to enthusiast's ears. 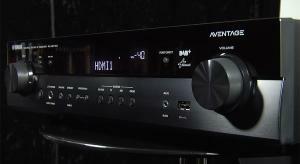 Yamaha's latest flagship AV Receiver has 9 channels of amplification, can process 11.2 channels for Dolby Atmos and has a few new tweaks and some UK sound tuning. 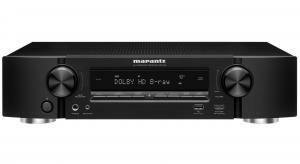 The SR7011 is the latest flagship 9-channel AV Receiver from Marantz and along with Dolby Atmos and DTS:X there's also HEOS this year, which now clearly isn't just by Denon. 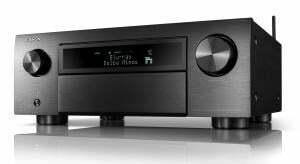 Denon's new high-end AVR-X6300H AV Receiver not only adds the HEOS multiroom system but also includes 11 channels of amplification for a one-box immersive audio solution. Denon have a newly engineered mid-range AV Receiver in the shape of the X3300 and it promises advanced cinema sound with Atmos and DTS:X support. 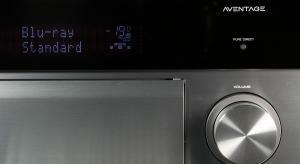 We take a look at the Yamaha RX-A1060, the latest addition to their AVENTAGE line-up of AV Receivers. 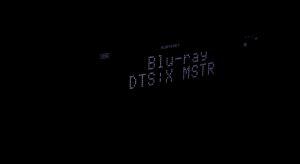 It's got Dolby Atmos, DTS:X and MusicCast but does it add anything new. 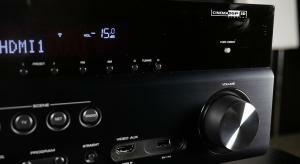 If you want surround sound but don't fancy a beast of an AV receiver in your lounge then Yamaha's RX-AS710D might be just the solution. The Pioneer SC-LX89 is the company's current flagship receiver, combining their usual classy design with 9-channels of Class D amplification, the latest immersive audio formats and plenty of future proofing. 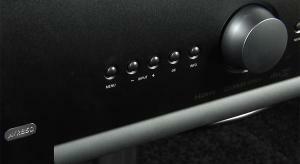 Anthem return with their latest flagship AV receiver the MRX 1120 and not only does it include Dolby Atmos and DTS:X but, as the name suggests, 11 channels of amplification. 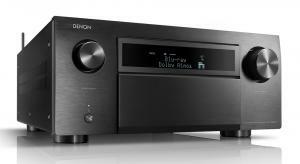 Offering 11.2 channel processing and 13.2 pre-outs with 9 channels of 205W power built-in and all 3 of the latest immersive audio formats, it's hard to believe this is the 2nd tier of Denon's AVR line-up. 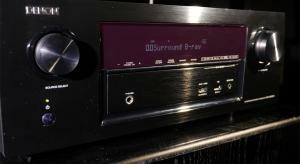 Arcam's latest flagship AV receiver the AVR850 not only has 7-channels of Class G amplification but also adds Dolby Atmos, DTS:X and Dirac Live room correction. 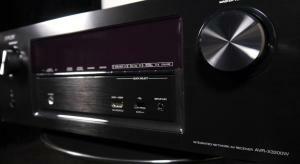 Yamaha's new flagship AV receiver, the RX-A3050, includes 9-channels of built-in amplification and supports both Dolby Atmos and DTS:X, along with 4K, HDCP2.2 and HDR. 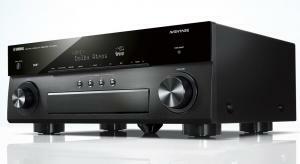 The Denon AVR-X7200WA is the company's flagship receiver with HDMI 2.0a/HDCP 2.2, Dolby Atmos, Auro-3D and now DTS:X. 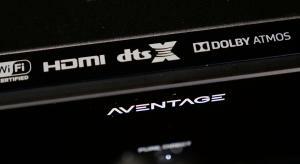 We have updated the review to include the recent DTS:X upgrade. 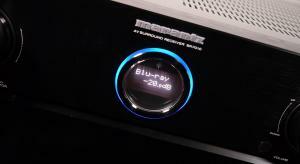 Marantz are back with the SR7010, their latest flagship AV receiver that not only includes all the great features from last year but adds DTS:X and plenty of future-proofing. The top model from the 2015 RX-V79 range is put through its paces and is certainly one to consider if DTS:X and Dolby Atmos are not your thing. 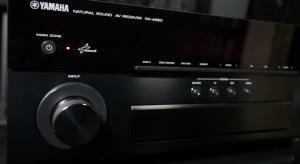 Yamaha's new RX-A850 mid-range AV receiver has a lot going for it but the absence of DTS:X could put it at a disadvantage to some of the competition. 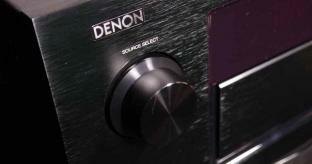 Denon future-proof their new AVR-X3200W AV Receiver by adding DTS: X and HDCP 2.2 to the existing Dolby Atmos support. 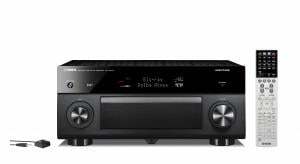 The Yamaha RX-A1040 is a great sounding receiver and as an end of line product, it can be picked up for decent money too. 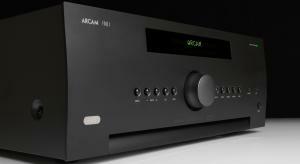 Arcam's latest flagship AV receiver the AVR750 drops the frills in favour of sonic thrills with seven channels of Class G amplification. 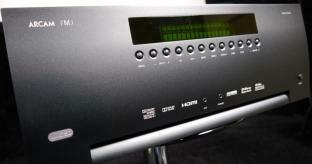 The Audio Visual Receiver (AVR) is the heart of a home cinema system. 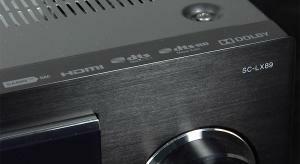 With multiple channels of built-in amplification and the ability to decode several sound formats, with future cinema formats like Dolby Atmos and 13.1 Auro-3D likely to join today's Dolby True HD and DTS Master Audio 7.1 decoding, there is nothing stopping you from having a stunning sounding home cinema with a modern AVR at its centre. 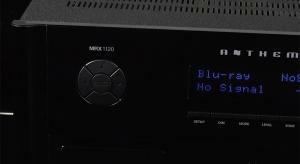 Modern AV Receivers also act as video switchers allowing you to select which device you wish to use, whether it's Digital TV, Blu-ray or a game console. 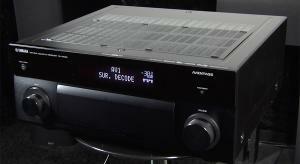 The AVR will perform many functions aside from decoding multi-channel audio. 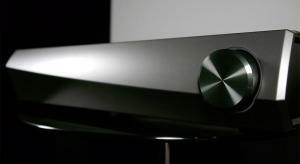 It will upscale DVDs, which are standard definition, to high definition for HD TVs. Certain AVRs can even upscale DVD and Blu-ray to Ultra HD 4K resolution if you have a suitable 4K TV. Music streaming from the likes of Spotify as well as ISF picture tweaking controls add to a huge list of added features on most of today’s AVRs. 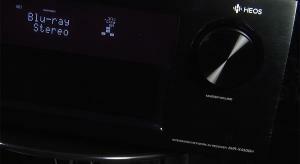 Room EQ and auto set-up routines make setting up the modern AV Receiver a piece of cake for anyone, and auto EQ, found on many models, further improves the audio quality. 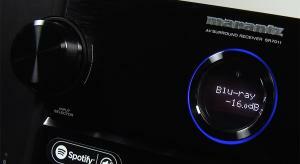 Popular manufacturers include Onkyo, Yamaha, Denon, Marantz, Pioneer and Anthem.